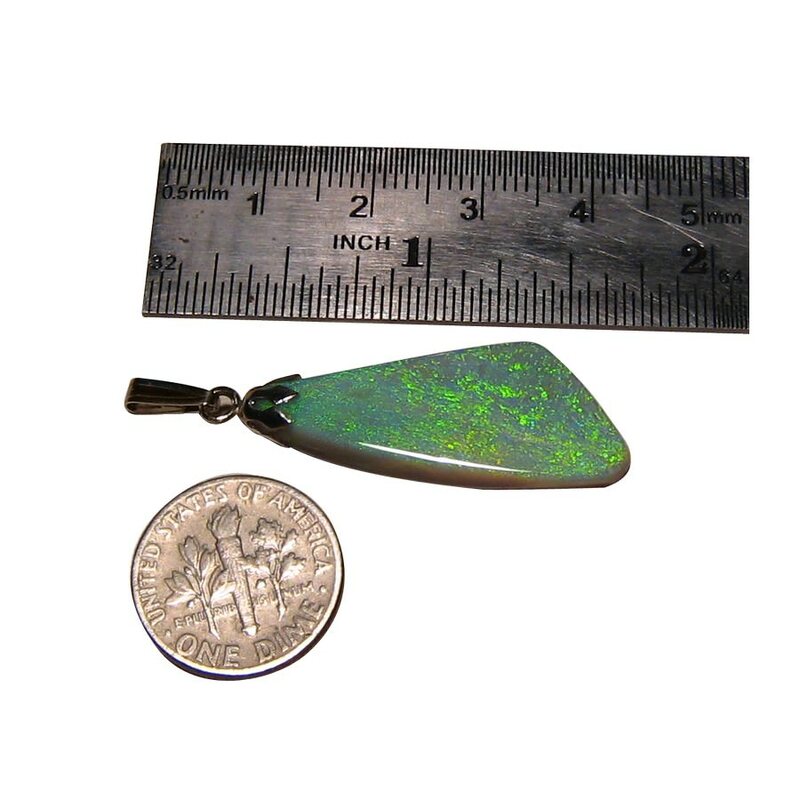 A big Opal pendant with a semi Black Opal set with a 14k White Gold bell cap and bale. In stock and ready to ship. 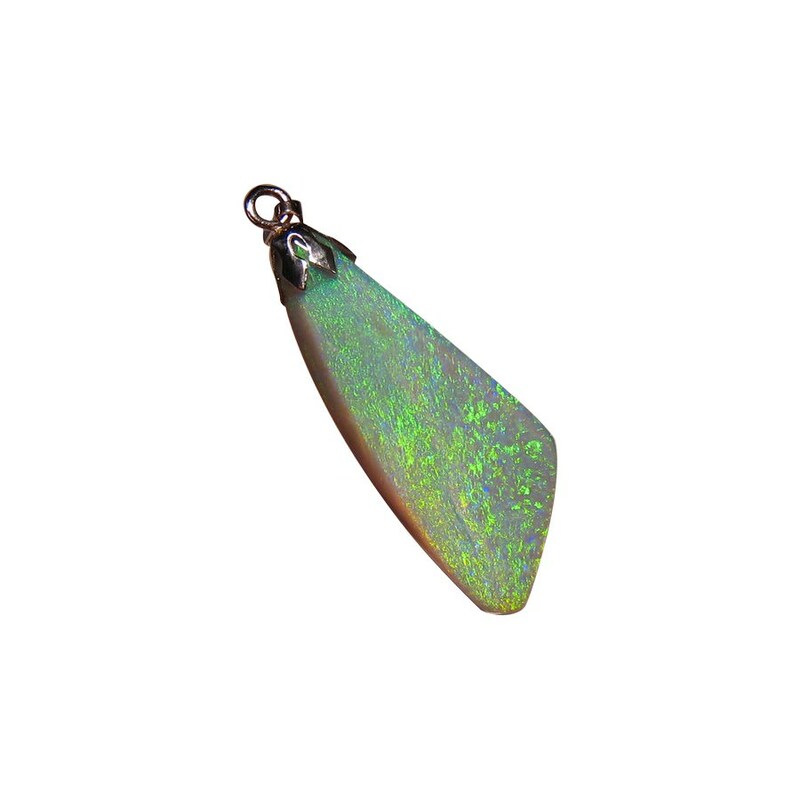 This Opal pendant is of good size showing bright shades of Green. 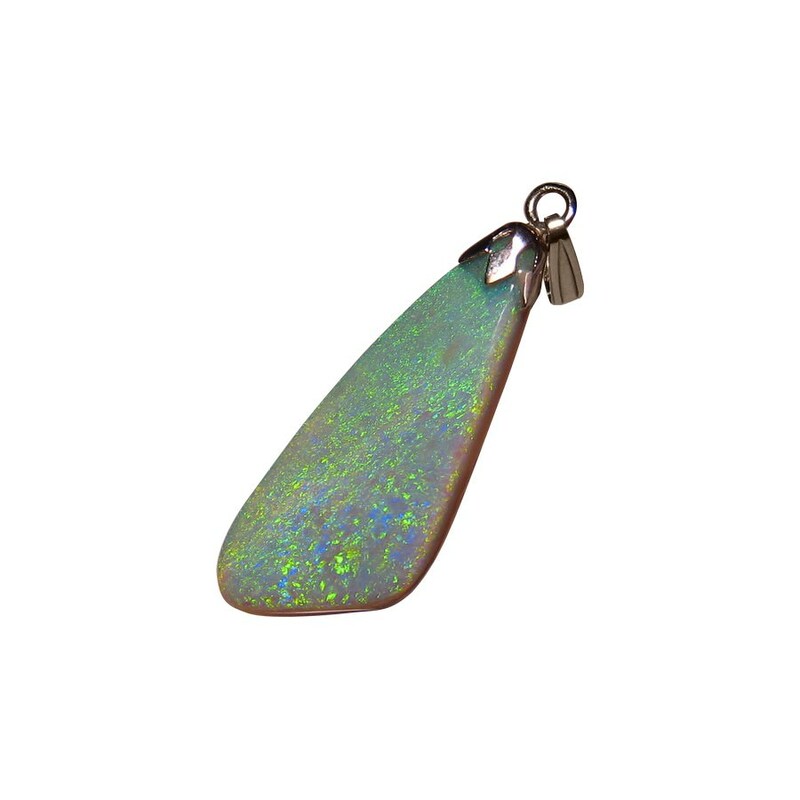 It is a Lightning Ridge semi Black Opal that weighs 12.5 carats and is set with a 14k White Gold bell cap and bale and while this is a simple design, the size of the Opal will draw the attention. The video below will show the sparkly play of color in the mix of Lime Green and Aqua. 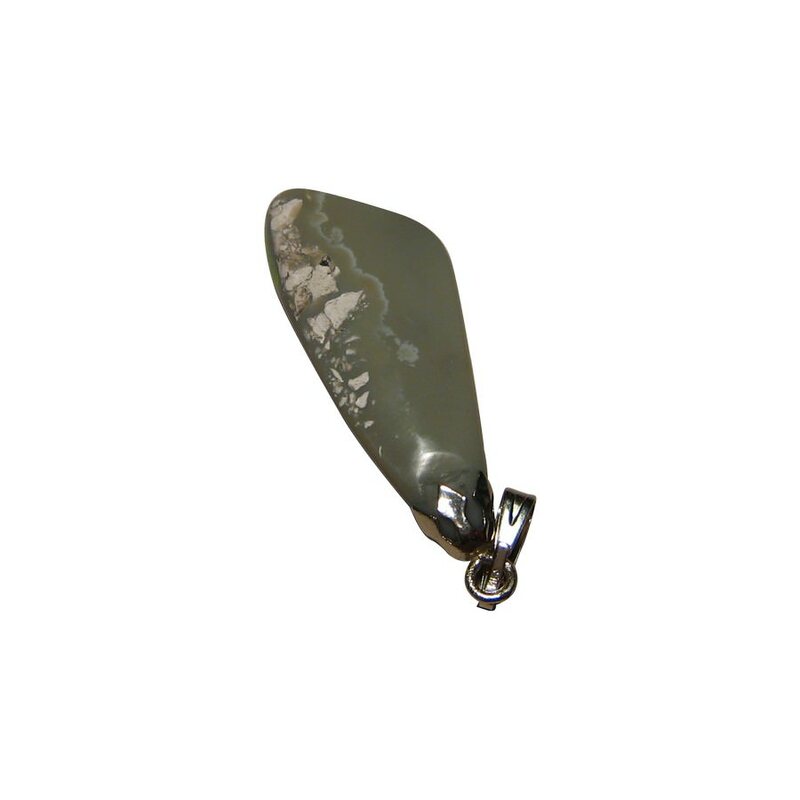 This pendant measures nearly 1.75 inches including the bale and is ready to ship now but does not include a chain.